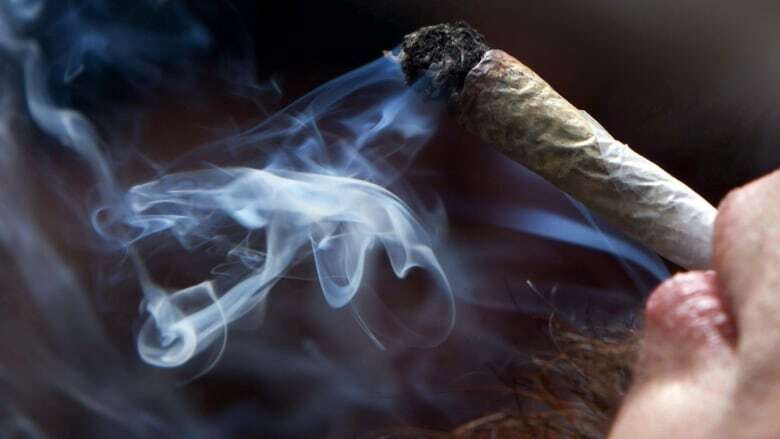 Weeks into national cannabis legalization, a top RCMP officer says the tests being used to detect whether someone is driving high are “not there yet,” though they’re the best they’ve got. Weeks into national cannabis legalization, a top RCMP officer says the tests being used to detect whether someone is driving high are "not there yet," though they're the best they've got. In an exclusive interview with The Fifth Estate, Chief Supt. Dennis Daley admitted that, although parts of the current assessment are based on science, the tests themselves will be always be subjective. "It's important for Canadians to realize that we don't have a tool right now, a similar on the alcohol side, a machine that will actually print out something that says 'you are this, you are that.' We do not have that," says Daley. "As the science improves, the technology no doubt will follow." Starting at midnight on Oct. 17 law enforcement agencies across the country ramped up efforts to nab cannabis-impaired drivers and began handing out hefty fines for violations of the Cannabis Act. In order to assess whether or not drivers are high, police officers are relying on standard field sobriety tests and their own trained Drug Recognition Experts (DREs). If a driver is thought to be impaired, he or she is put through a roadside standard field sobriety test (SFST) that includes an eye examination, the walk and turn test and one leg stand test. Upon failing the test, the driver is brought to the station where a specialized DRE officer runs the driver through a 12-step process designed to detect impairment. The steps include taking clinical indicators (blood pressure, body temperature, pulse) and additional eye exams such as measuring your pupil size in different lighting conditions. Failure, or refusal to comply, with the field sobriety test or the DRE demand can also result in criminal charges that have the same penalties as impaired driving. The RCMP runs the Drug Recognition Expert (DRE) program for all police officers in Canada and has trained 833 DREs across Canada. The Mounties have trained these specialized front-line officers and have 25 certification events planned this year, followed by an additional 25 to come. Although the Department of Justice approved the use of the Drager DrugTest 5000, a handheld device that tests saliva for THC, the main psychoactive ingredient in cannabis, not everyone is convinced of its reliability. Several cities across Canada, including Ottawa, have decided against using the device due to the questions being raised about the machine's accuracy, especially in cold weather. Some RCMP detachments have bought saliva testing units, but others are waiting until the device is proven reliable and its findings are tested in court. An investigation by The Fifth Estate at the beginning of the year highlighted problems with the DRE program being used in Canada as well as in the United States. Recent studies show that, although drug recognition experts are effective in being able to tell the category of drug someone may have consumed, they fall short in reliably confirming impairment. Daley agrees that the test is subjective and does open doors to the possibility that sometimes the police can get it wrong, however he believes it contributes to keeping roads safe. "I do not believe that any police officer starts off their shift by saying 'I want to make somebody's life difficult today.' We are human beings, we are faced with a particular situation, we rely on our training and our experience in order to hopefully do the right thing." In February last year the Supreme Court of Canada upheld DREs to assist the court in providing opinion towards the ability to drive a motor vehicle impaired. The case involved a cannabis-impaired driver who was acquitted in a lower court because of doubt over such expert testimony. In a statement to The Fifth Estate, Minister of Border Security and Organized Crime Reduction Bill Blair said he is confident these new measure will save lives. "Our government is making the necessary investments and supporting law enforcement with measures including a very successful 'Don't Drive High' public awareness campaign," Blair said in the statement. However, Daley is concerned that the awareness campaign may not be working. "It doesn't appear youth are getting the message of driving while high," he said. "We have to concentrate on messages with respect to cannabis and driving much like 30 years ago we increased the education around alcohol-impaired driving."